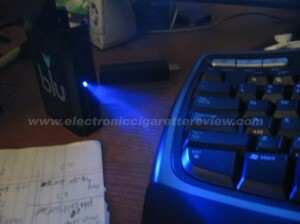 The new electronic cigarette reviews page is well organized! Janty, NJOY, Red Dragon, Crown 7 etc..
Pen-Style, Mini, Cigar, Pipe, e-Liquid, Accessories etc..
Take me to the new “e cig” reviews page NOW! 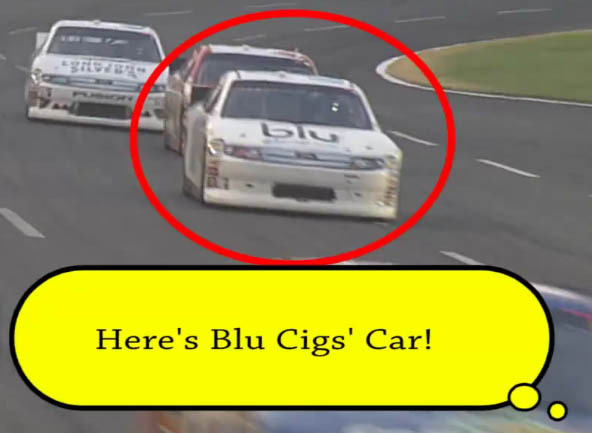 Just weeks after Blu Cigs shows up on the tech page of The New York Times, Blu Cigs AND Greensmoke are ratcheting up mainstream promotion of electronic cigarettes with each sponsoring their own car in the Coca Cola 600 NASCAR race today. 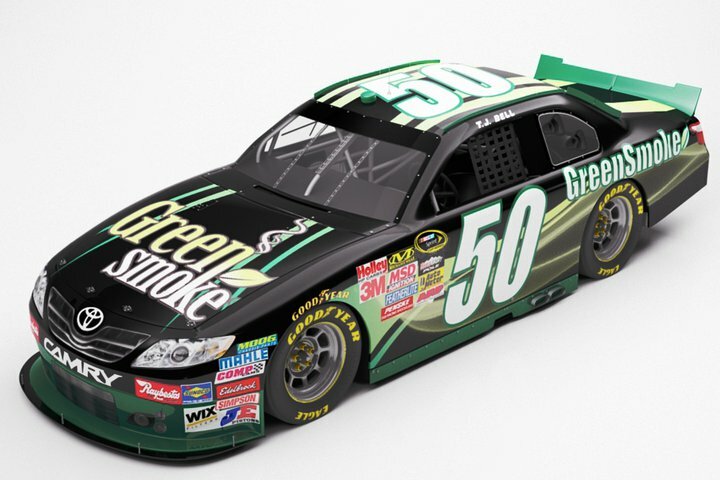 I got the photo of Greensmoke’s car from their Facebook page. 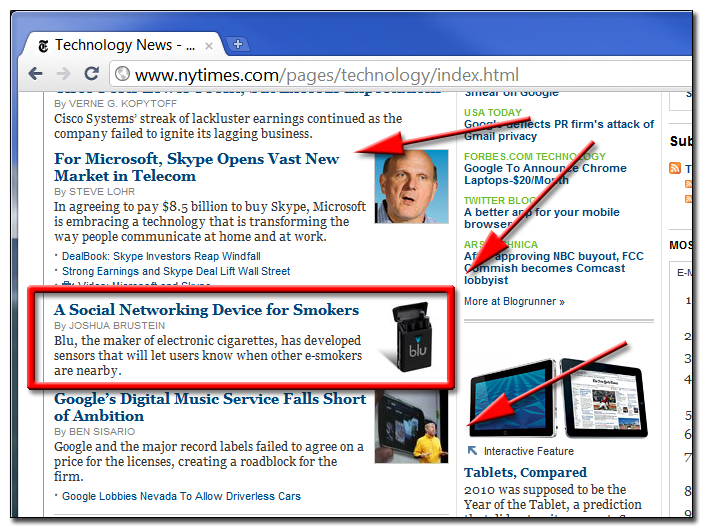 Apparently, the news about Blu Cigs’ new social networking device, the “smart” blu pack I blogged about a couple days ago was big enough to make it in an article that appeared on the front of The New York Times technology page yesterday. I feel strongly that I need to put this in perspective though.. When I found this news it showed up right between articles about Microsoft AND Google!! Representatives from Blu Cigs contacted me last week to ask me if I would be interested in reviewing and blogging about their new “Blu Pack” which will include social networking features and may even be net connected through an iPhone app! I haven’t even had a chance to update my Blu electronic cigarette review since they have switched to a new 2-piece design, but I thought I should blog about this before I do that because an industry changing innovation like this is likely to be BIG news. 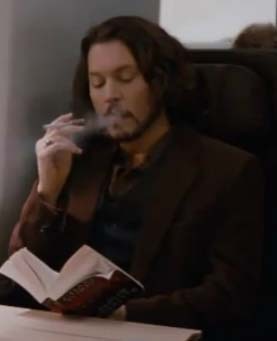 It looks like this is old news, but I actually saw the move last night so I wanted to add my review of Johnny Depp ’s portrayal of the electronic cigarette in “The Tourist” along side co-star Angelina Jolie. Interestingly enough I covered Katherine Heigel and David Letterman’s demonstration of e cigs in one of my last posts so hopefully this celebrity usage helps rocket use into the mainstream more.